Reassurance shield as the Palisades joins US 6. 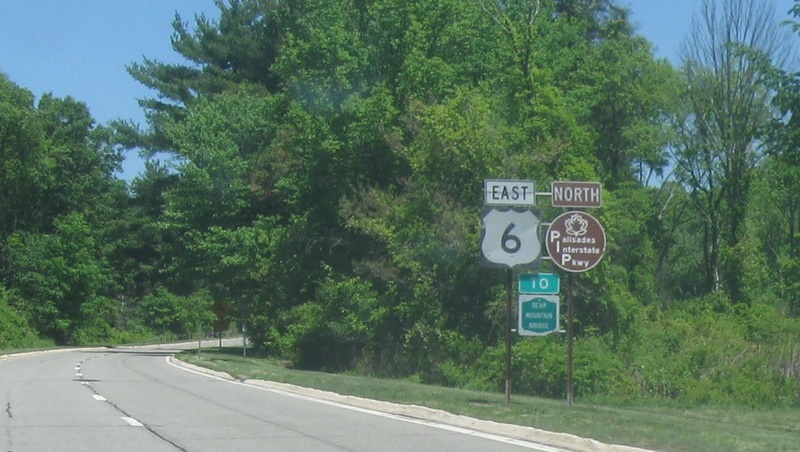 The two routes will run concurrent for the remainder of the Palisades’ existence. Seven Lakes Drive also has an unsigned concurrency here. 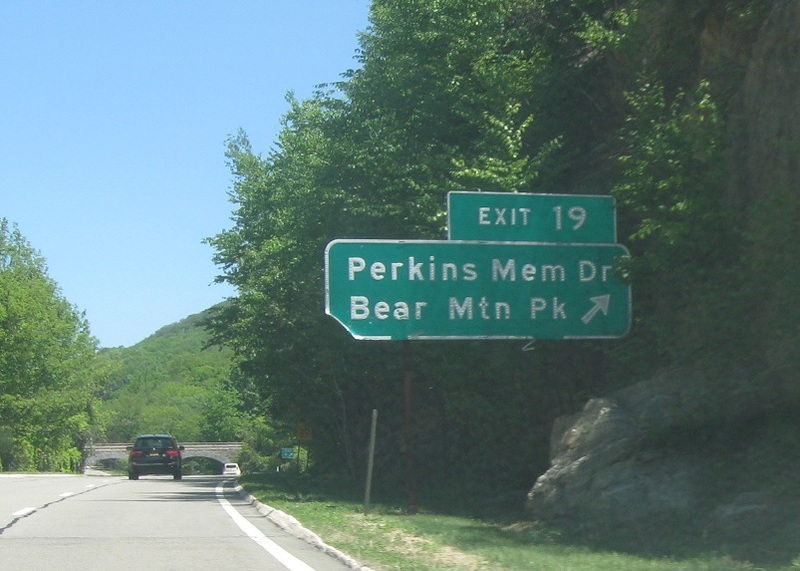 A couple hundred feet later, exit for Seven Lakes Drive towards Bear Mountain Park.